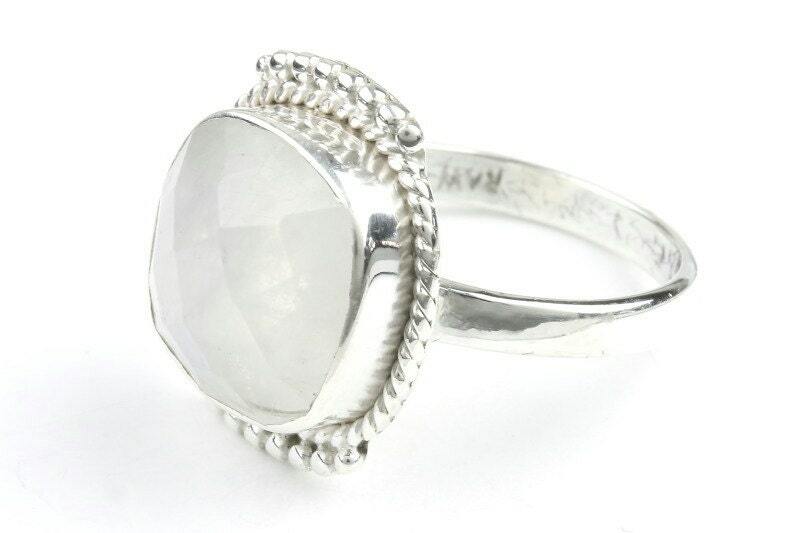 Vibrant facet cut moonstone in lovely sterling silver setting. 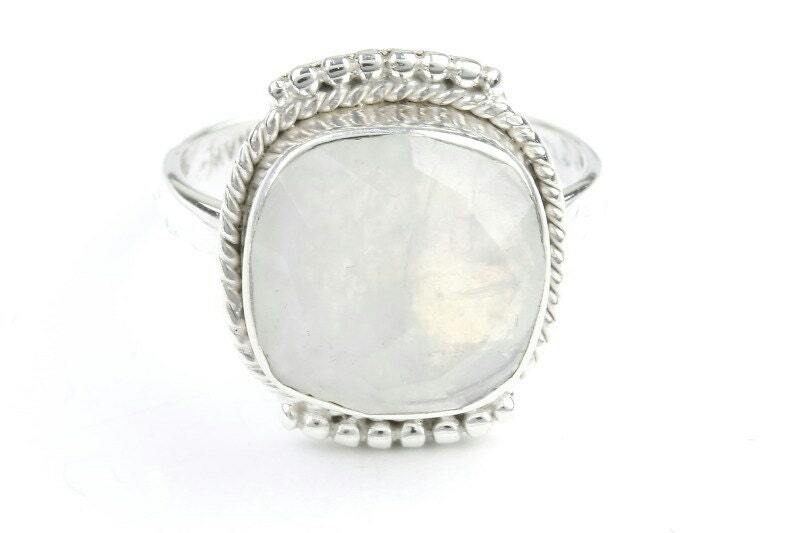 Cut of the moonstone beautifully showcases all the light and colors of the piece. I love this ring! I havent taken it off since I received it!